The Ontario government's information on Automobile Insurance can be found here. The FAQ's are here. The Ontario Automobile Policy can be found here. The Ontario Driver's Policy can be found here. Provides clear visibility of the road. Windshields can become pitted and scratched from small dirt and sand particles as well as fractures/cracks caused by pebbles and stones. If left unattended, this pitting can affect vision. Support passenger-side airbag during deployment. It is possible for an improperly replaced windshield to become detached from the vehicle in an accident. In the event the windshield becomes detached, the airbag will not deploy properly. Cushions blow and keeps vehicle occupants contained in a crash. Windshield glass may break in the event of an accident, but the polyvinyl layer is flexible and cushions impact if an occupant is thrown forward. More importantly, it also keeps passengers within the vehicle prevention ejection and reducing the risk of injury – or worse – in the event of being ejected from a vehicle. Increase structural integrity of the vehicle. Over time, the design and manufacturing of vehicles has changed dramatically. In the past, the steel structure of the vehicle design provided the structural integrity required in the case of an accident or a rollover. Due to the use of lighter materials and newer streamlined vehicle designs, the windshield now provides much of the support that prevents the roof’s collapse during vehicle roll-overs. Telstar Auto Glass guarantees the seal on your auto glass installation for as long as you own the vehicle. Any defect in the windshield seal must be reported to Telstar Auto Glass within 14 days of discovery. This warranty does not cover leaks, stress cracks, or related damage resulting from vehicle body damage or rust deterioration. Telstar Auto Glass will use reasonable efforts to advise of the existence of such damage or rust prior to installation of new glass, however, this may not be possible. 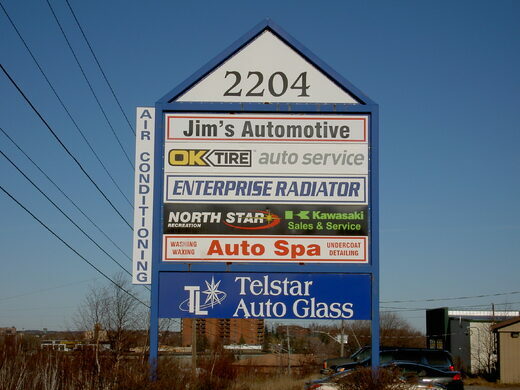 In these cases Telstar Auto Glass is not responsible for any associated damage. Telstar Auto Glass will warranty the windshield against pressure cracks (a break that occurs for no apparent reason - running from the edge of the windshield inward ) and distortion for a period of 30 days. There is no warranty on tempered glass parts. Telstar Auto Glass guarantees all windshield repairs for as long as you own the vehicle. If the windshield cracks from the repaired area, we will credit you the cost of repair against the replacement windshield. In the case that auto insurance covered the original repair, the insured must pay the deductible portion of their insurance on the replacement windshield. No warranty will apply where normal maintenance is required, repairs have been made or attempted by others, or if parts have been abused, misused or improperly maintained. All warranties are limited to amount of original purchase. We stand behind our workmanship 100% and take pride in the work we do. Our two Master Technicians have made a career in this industry with 27 years experience and 17 years experience respectively. You don't find that kind of experience at every glass shop. We are careful to treat every vehicle with the utmost care… but occasionally accidents happen. When damage occurs we always do our very best to make things right again. Customer satisfaction is very important to us. We will not, however, repair or replace damaged parts when poor vehicle design, existing wear & tear damage or low quality parts have played a significant role. We are all aware of the decline of quality in the automotive industry. In cases where it is unclear if the damage occurred while the vehicle was in our care or was pre-existing will be examined individually and in those cases we determine to be our responsibility we will happily rectify. Several factors will be considered in this process and we always strive to be fair in these matters.